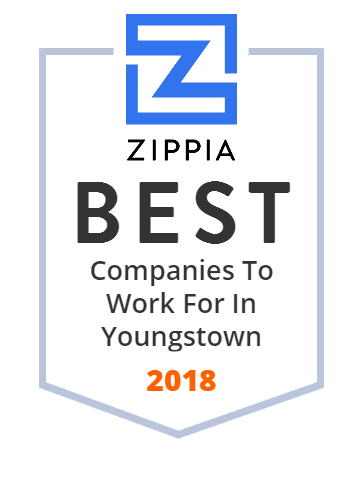 We hand-curated a list of the best companies to work for headquartered in and around Youngstown, OH using data on salaries, company financial health, and employee diversity. Taylor-Winfield Technologies, Inc. is a full service capital equipment manufacturer of automated assembly systems, welding machines, induction heating power supplies, material handling/packaging systems, and robotic integration systems. Taylor-Winfield customers come from a wide cross-section of industries including: agriculture, automotive, aerospace, defense, pharmaceutical, electronics, etc. Its corporate campus is located in Youngstown, Ohio. Established in 1882, Taylor-Winfield Technologies combines diverse technologies to solve today's complex manufacturing problems. Youngstown Pipe & Steel is a Youngstown, OH based steel service center that specializes in the processing and distribution of carbon and alloy steel products. Its services include: pipe threading, shearing, hole drilling, plate burning, blasting, painting, coating, etc. YPS was founded in 1979 and acquired by DNV Management Corporation in 2004. The company continues to create superior value for its customers by providing high-quality products and services. National Fire and Water Repair is a general contractor as well as an emergency recovery specialist. Its team specializes in Fire, Smoke, Water, Mold, Trauma and more. Whether clients require a simple cleanup or complete restoration, its team of 34 employees is there to help. National Fire and Water Repair covers every detail: moving and restoration of clients' contents, carpentry, painting, masonry, electrical, plumbing and HVAC. The company has its main office in Youngstown, OH, and additional offices in Warren, and Sharon/New Castle. Strollo Architects is a design firm that offers a wide range of architectural, engineering, visual communication, interior design, planning, and USGBC LEED services for the education, commercial, government, recreational, residential, and other sectors. The company has mostly designed work for the healthcare industry, and as a result, it was ranked in the "Top 100 Healthcare Architects". Headquarted in Youngstown, OH, it also has an affilliate office located in Orlando, Florida. Founded in 1996, The Surgical Hospital at Southwoods not only provides excellent medical treatments and healthcare services but also focuses on the individual needs of each patient. Its services include: surgery, robotic assisted surgery, endoscopy, imaging services, pediatrics, pain management, anesthesia, and other services. The Surgical Hospital at Southwoods has five additional locations in Boardman, Austintown, and Youngstown. WRTA is the Western Reserve Transit Authority which provides bus services in Mahoning County. This company has been created by the City of Youngstown and the Mahoning County Commissioners as a countywide public transit authority under authority of the Ohio Revised Code, Chapter 306. Western Reserve Transit Authority provides its services with the assistance of local, state and federal funding. Space-Links International is your one stop shop for entrance flooring and floor matting. Visit our website to find out more about the entryway products and services we offer.